Last year I had the pleasure of spending the summer with some amazing people out on Nantucket Island in Cape Cod, Massachusetts. Until upgrading some of my equipment, I never really had the opportunity to successfully capture the stars to any great deal of satisfaction. After finally getting ahold of my D600, and with Nantucket's remote location from the light pollution of big towns or cities, it was the perfect opportunity to test some shots. 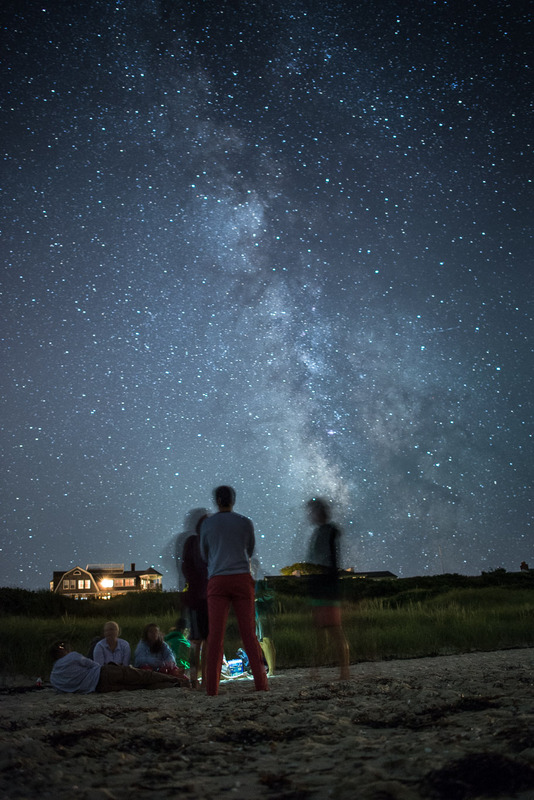 Nantucket truly is a beautiful place to spend time, expensive!, but very beautiful and a great place to really take in the night sky. We found out that there would be a meteor shower and a collection of friends and I headed to the beach to prepare for some stiff necks as we looked skyward for numerous hours! Being effectively pitch black, we definitely got a great view of the stars and saw a lot of meteors over the 3 hour period. 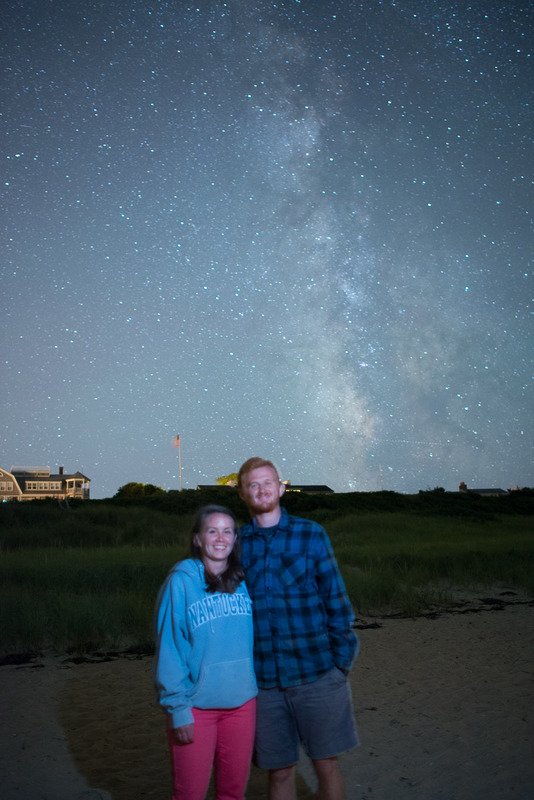 After getting a couple of great long exposure shots I wanted to experiment with keeping the milky way in the background and get my friends exposed correctly in the foreground. To capture these type of portraits, I exposed for the milky way and using a few trials of off camera flash, I proceeded to light them up from a few angles. As with any first attempts you'll see that a couple of these aren't perfectly in focus because of the shallow depth of field I had to use (f/1.8) but I wanted to show you how you could try something similar with enough practice to really pull it off with a helping hand or two! Experimenting with this type of photography eventually led me to create my "Winter Lights" Panorama and it will definitely serve as a great trial run for my next attempt!